Baatara Gorge Waterfall is considered one of the most beautiful waterfalls in the world, often being ranked among the top places to visit in Asia. 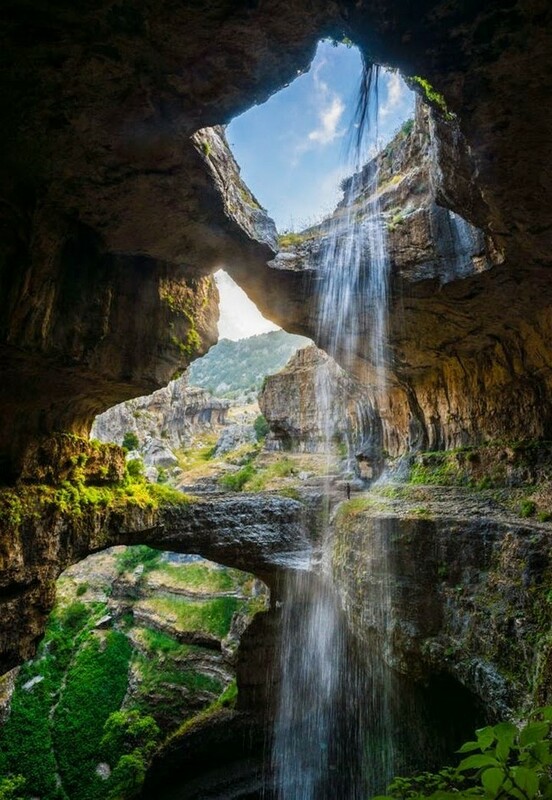 The nature spectacle is situated at 1,150 m altitude, on the Lebanon Mountain Trail, in the village of Balaa. 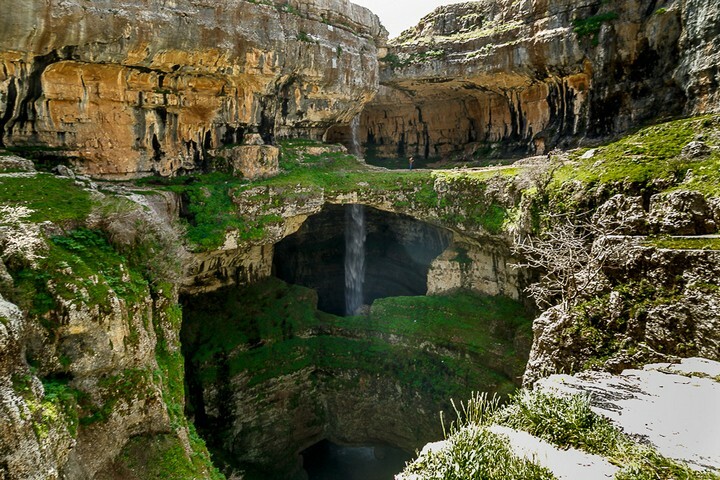 This lies between the cities of Laqlouq and Tannourine. 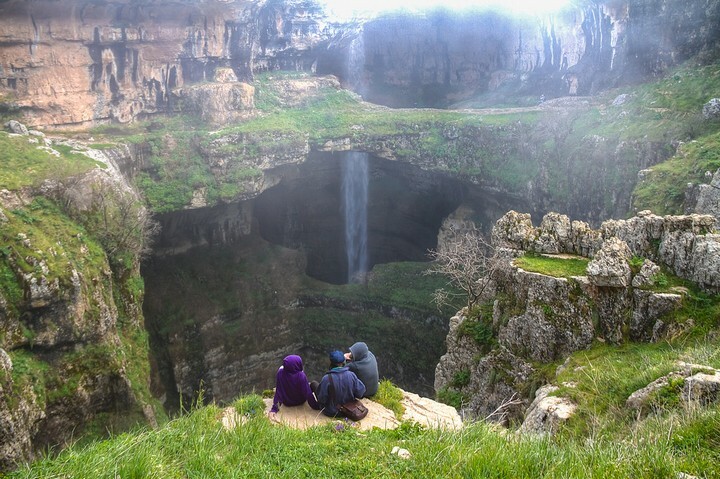 Beirut is located 76 km away, so a one day trip from the capital is a common way to see the waterfall. 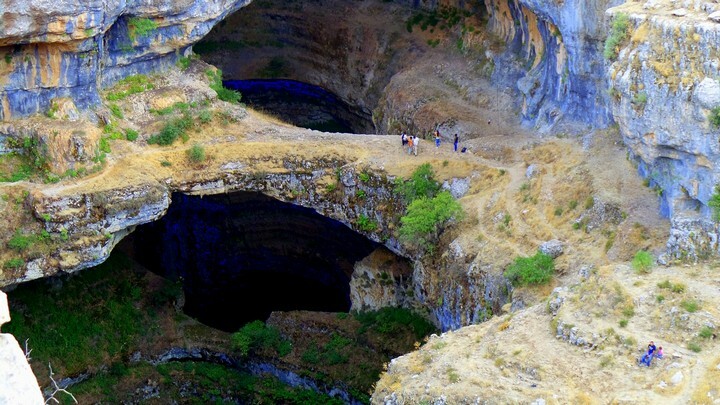 Baatara Gorge is also called “the Three Bridges Chasm”, due to the three natural bridges hanging above the Jurassic limestone cave. 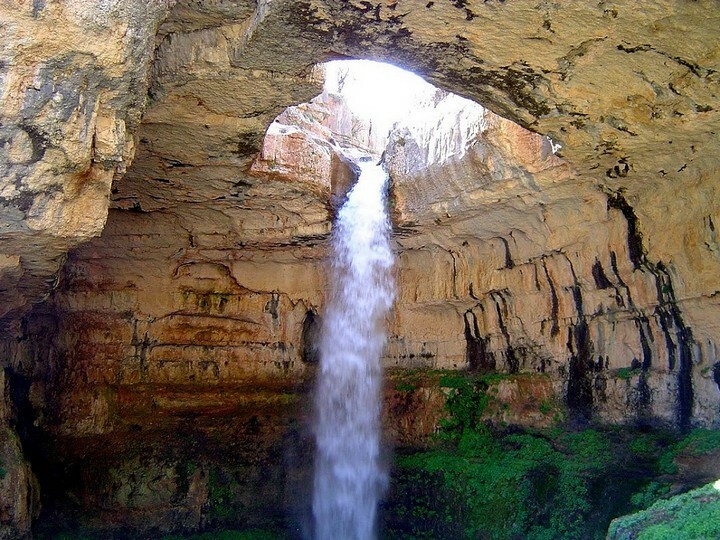 The waterfall has a total drop of 255 meters into the Baatara Pothole and the best time to visit is in April-May, when the ice melts from the peaks above the valley. Today, Baatara Gorge is a popular tourist destination. People traveling here are advised to be very careful, as the cliffs might be slippery. 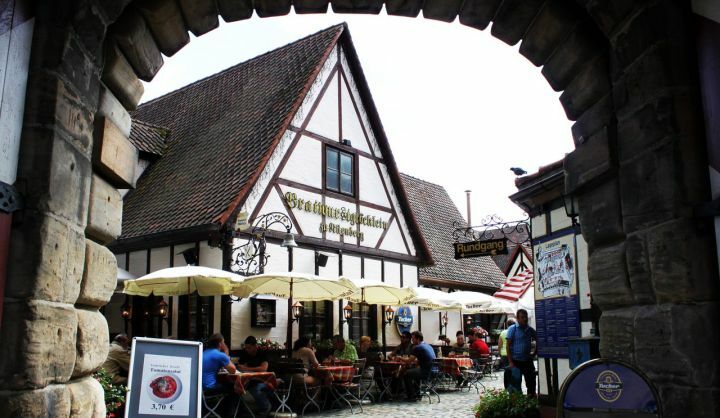 Travel experiences here can turn into real adventures. 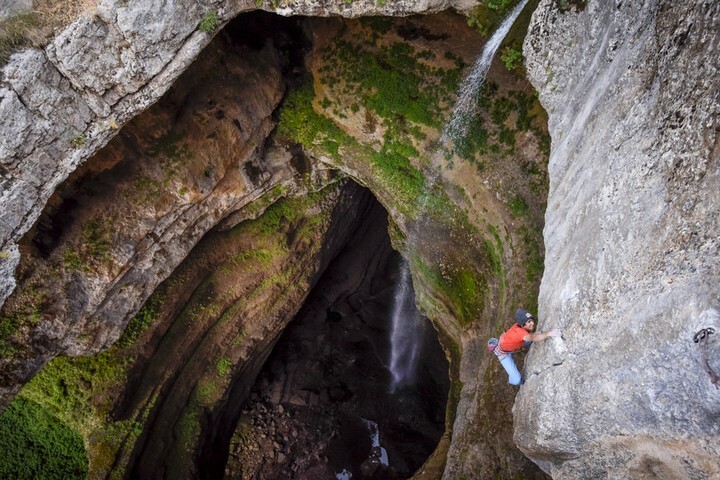 Climber David Lama took on the challenge of climbing the untouched walls of the Baatara Gorge. “It’s not very common that you get to such a stunning location nobody has climbed. To find a climbable line in this cave, in this sinkhole, was really hard. I really had my doubts. The walls are incredibly steep and there are hardly any holds on it, so I was unsure there was a line I could free climb” he said in an interview for Red Bull Adventure. The village of Balaa is two hours away by car from Beirut. So you can rent a car or ask a taxi driver to take you there. Keep in mind that you should return to Beirut with the same taxi, because it is difficult to find one in the village. From here on, you will have to walk a couple of minutes to the waterfall. Warning: At this moment, Lebanon is confronting with internal security issues. In this case, travelers should be aware of the political and traveling conditions in the area and get the latest information about their destinations. Stay safe!